There’s no shortage of tech-infused ways to get a meal delivered. Postmates and Deliveroo will pick up a dish from a local restaurant for you; GrubHub, JustEat and the like do the same for takeaway food, while subscription services like NatureBox and Graze can send you a steady stream of snacks. 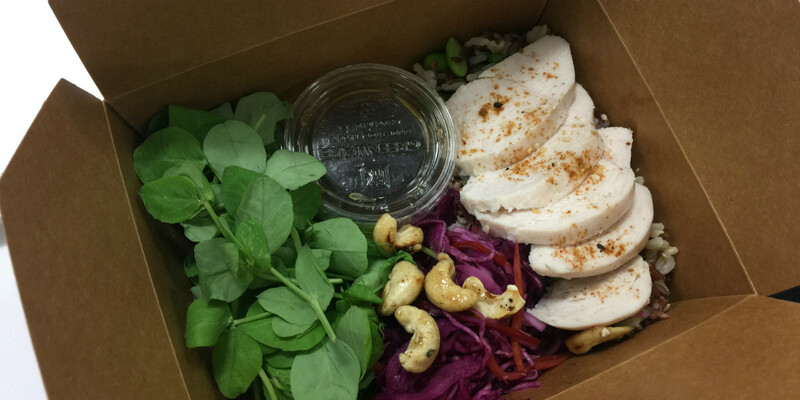 Deliverd is entering the market with a UK-focused service that delivers healthy, freshly prepared lunches – but the interesting part is how they’re prepared, and the advantage this could give the startup against its competition. Developed at the Dotforge Social Ventures accelerator in Sheffield, northern England, Deliverd has its meals prepared by existing kitchens, such as those in restaurants, pubs and cafes, during the morning lull before those businesses have to start preparing dishes for their own customers’ lunches. An SMS-based printer in each kitchen prints out the day’s orders at 10.30am and staff get to work. The finished meals are then collected and delivered to those who ordered them. There are currently five options, priced at £4 ($6) each. They’re created by the startup’s food director, James Grant, who trains staff at each kitchen that signs up in how to prepare the meals. In an interesting move, Deliverd also has Sheffield charity The Archer Project on board, offering homeless people paid work with a view to them getting work in one of the other kitchens around the city. Deliverd’s co-founders are Paul Rawlings and Ricki Unger. Longtime readers may remember Rawlings’ previous business, ScreenReach (AKA Screach), which we covered on a number of occasions. Rawlings has now stepped away from that company and is focusing on Deliverd full-time. Deliverd is currently only available in Sheffield city center, but the plan is to expand to Manchester by the end of July. Rawlings tells me that one benefit of the startup’s approach is that by using existing kitchens, it can scale relatively easily with low overheads. I tried one of Deliverd’s meals recently in Sheffield and found the portion, served in a lightweight, environmentally friendly cardboard box, to be both tasty and filling, and it’s certainly something I’ll try again when I’m in an area the company covers. Rawlings says that the startup A/B tested the psychological impact of the weight of the box to make sure it ‘feels’ like a filling, satisfying meal. Deliverd plans to expand across the UK – focusing solely on lunch – with three more cities “north of London” beyond Sheffield and Manchester due to launch in the next six months. London itself may miss out, however, simply because there’s so much culinary choice in the capital anyway. Beyond those initial plans, Rawlings says that Deliverd’s bigger vision is to match demand with excess production capacity in all sorts of different verticals – and food is just the beginning.